Pinterest Resources for the Tourism Industry | Dream.Pin.Go. On this page, I share with you some of my most favourite Pinterest resources that will hopefully help you create a better looking and better performing Pinterest account. If you use any tool or service that makes you jump in the air and I don’t know about it yet, please let me know so I can try it and hopefully add it to this list! Please note that the list below contains affiliate links. When you purchase anything through one of those links (without extra costs to you! ), I receive a (very) small commission. Thank you for supporting the ongoing existence of Dream.Pin.Go. 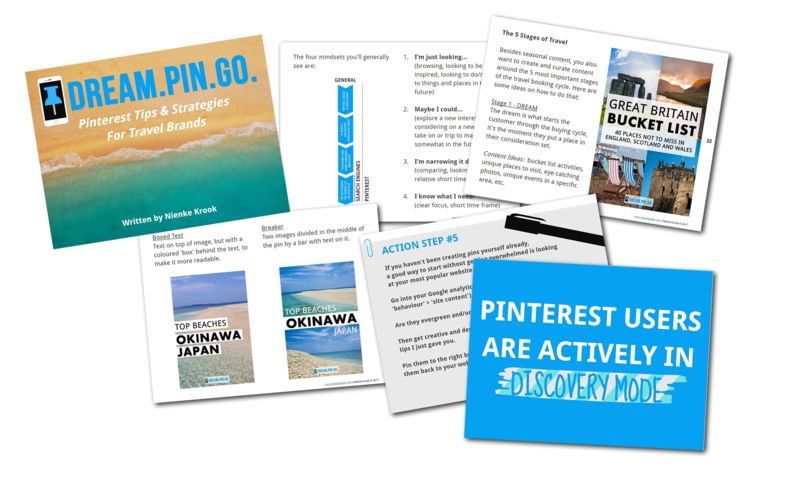 For a complete list of Pinterest resources, I recommend checking out my new Pinterest mini-course!